Come cook, learn and dine with Elyssia Maya Schaeffer, Ayurvedic Nutritionist, after a cozy day at the coast! 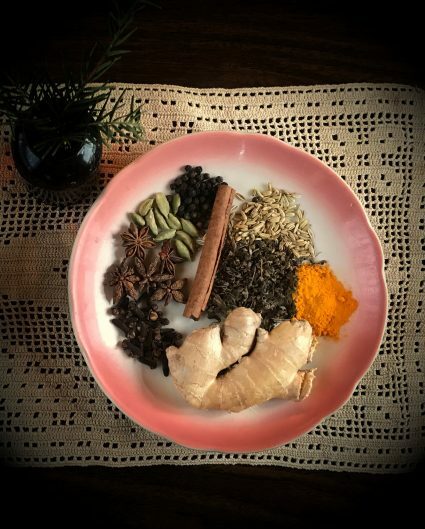 We will explore winter seasonal foods, herbs and spices while preparing Ayurvedic Kitchari – a delicious traditional Ancient Indian one-pot cleansing dish – and a decaffeinated chai tea. Filled with fresh, nourishing ingredients to balance the energies of any season, Kitchari is an indispensable addition to your repertoire of home recipes. Apply your new Ayurvedic cooking skills to make quick, healthy and filling school or work lunches, a hearty meal to share with loved ones or a supportive dish for your next cleanse. Through this interactive workshop, you will learn which foods are your best allies in winter time and gain a deeper understanding of why eating seasonally is so critical to our health through the wisdom of Ayurvedic principles. Elyssia Maya Schaeffer is a Certified Ayurveda and Yoga Teacher, Holistic Nutritionist and Certified Wellness Coach living in Portland, Oregon with her fun loving husband and two cheeky chihuahuas. Elyssia found Ayurveda – the medical system of Ancient India, which translated from Sanskrit means “the knowledge of life” – through Yoga. After years of asana practice, she was drawn to the philosophical side of the Yoga tradition and from here was introduced to the sister science of Yoga – Ayurveda. 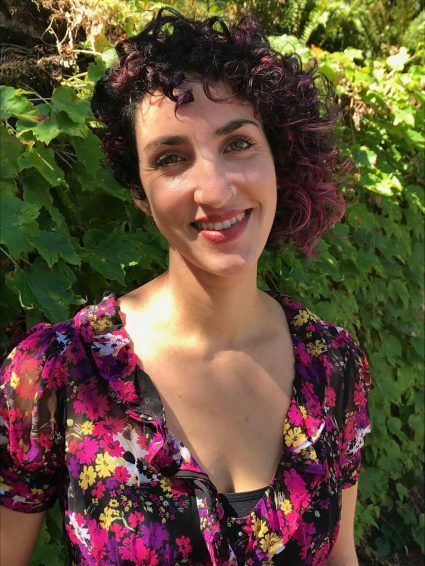 In addition to teaching workshops and offering private consultations in Portland, Elyssia co-runs the monthly Center for Ayurveda and Yoga Study Clinic with a mentor and colleague. For information about upcoming workshops or appointments at the CAYS clinic, email Elyssia at anandamayaayurveda@gmail.com. BRING: All supplies provided. Please bring an appetite! Children welcome. 8 students max.